Would you like to expand knowledge about the game surroundings and other areas? Then Spintires: MudRunner Maps Mods is something special for your case. Each Spintires MudRunner Mods Maps has unique features which add value to your game. 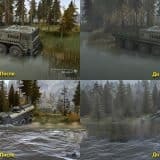 We have collected a huge Spintires: MudRunner Maps Mods free files database, which is available for everyone without any restrictions. Sounds greats? Then go for it! 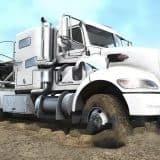 All you need to do is just pick the file and hit on Spintires: MudRunner Maps Mods download button – it will be added to your game within few moments. Spintires Maps Mods help you upgrade your game and improve personal skills. This becomes an additional advantage and can help you to fight your opponents. Spintires Maps Mods free examples are being created and modified every day, therefore is important to follow what’s new and innovative is happening right now. So, you better start right now – complete Spintires Maps Mods download of the file you need and let the adventure begin!